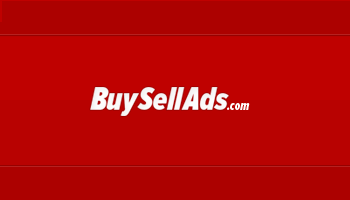 One of the most popular direct advertising networks is Buysellads, where advertisers buy and publishers sell ad space to make money. As a publisher, you need to have a good ranking website to get accepted in their network. Your blog needs to have a domain name and receive at least 50,000 pageviews per month. How do I submit my Website? Firstly, you need to signup for free account with Buysellads. You can either register as a small or medium publisher depending on your blog traffic. Fill out the form by entering proper details and create your account. A verification link will sent to your registered email address, click on it and login to your account. Now click on "Submit Property" from the dashboard. Its important to fill this form carefully as this could be the deciding factor of your blog's approval. You'll receive a notification email after a few days time if your website is approved or not. If it isn't they will inform you about the reason for rejection. Buysellads is a marketplace where advertisers seek blogs which best match their promotional requirements, and does a good job in putting your blog in the right category. You don't find advertisers, they find and contact you through BSA. Publishers have complete control over advertising rate - means you can set your own ad rates. Unless you have a popular blog try not to set the rates high, you may lose potential opportunities to monetize your website - so be careful. This is a fantastic alternative to Google Adsense.